THOROLD, ONT – 68 years of dirt track racing in the Niagara Region. The 2019 season at Canada’s oldest dirt track, Merrittville Speedway is shaping up to be an exciting year for third-year speedway owners Don and Lorraine Spiece. 2019 will see 25 racing events span from the middle of April through mid-September each and every Saturday night. The 2019 edition of the Spring Sizzler will take place on Saturday, April 20 headlining the first of three appearances by the Southern Ontario Sprints to the Thorold, Ontario speedplant. The annual Brian Stevens Memorial for the 358 Modifieds will be on Saturday, May 11. Merrittville Speedway will be racing on all three Canadian Monday holidays. The Victoria Day holiday (May 20) event includes the first of three scheduled appearances by the Action Sprint Tour presented by Race Rivalz.com Also making their inaugural trip to Merrittville are the UMP Modifieds, featuring Ken Schrader. “We are very excited to add Merrittville Speedway to our dirt schedule this year” Schrader posted on his Facebook page. On Canada Day (July 1), the Action Sprint Tour will be joined by a Late Model special plus Fireworks! The highlight on the calendar is once again the Big Block Modified Super DIRTcar Series event scheduled for Monday, August 5. The Super DIRTcar Series regulars of multi-time champion and Merrittville race winner Matt Sheppard will be joined by third-generation driver Erick Rudolph, “The Jet” Brett Hearn, “The Baldwinsville Bandit” Jimmy Phelps, “The Doctor” Danny Johnson, “Lightning” Larry Wight ,“The Franklin Flyer” Billy Decker, who is reuniting with the Gypsum Wholesalers team in 2019, and a host of the top superstars on dirt as they try to take the win away from a local driver. The 2018 edition saw “The Ransomville Renegade” Ryan Susice lead all 100 laps to get the win and defend home turf. 2018 Merrittville Speedway Modified Track Champion Mat Williamson will be behind the wheel of the Buzz Chew Racing #88 and will look to take the win at the track where he graced victory lane 10 times in 2018. The Merrittville regulars will also look to defend home turf such as “Mr. Small Block” Pete Bicknell, Gary Lindberg, Chad Brachmann, and divisional rookie Dalton Slack, who will be behind the wheel of the Slack Racing #3rs entry. The Slack team will have two cars at Merrittville weekly in 2019 with Ryan Susice behind the wheel of the #38rs. The Big Blocks will also be joined by the Bellinger Electric Incorporated (BEI) Lightning Series for Sportsman. The BEI Series event saw 43 cars enter the event. The season will end on Sunday, September 8 with the annual 100-lap Enduro plus the 3rd annual School Bus Race featuring radio disc-jockeys for charity and more. On average, nearly 90 racers signed in pitside to compete at Merrittville every week in 2018. Back in December, Merrittville Speedway introduced the new race med team for the 2019 season. 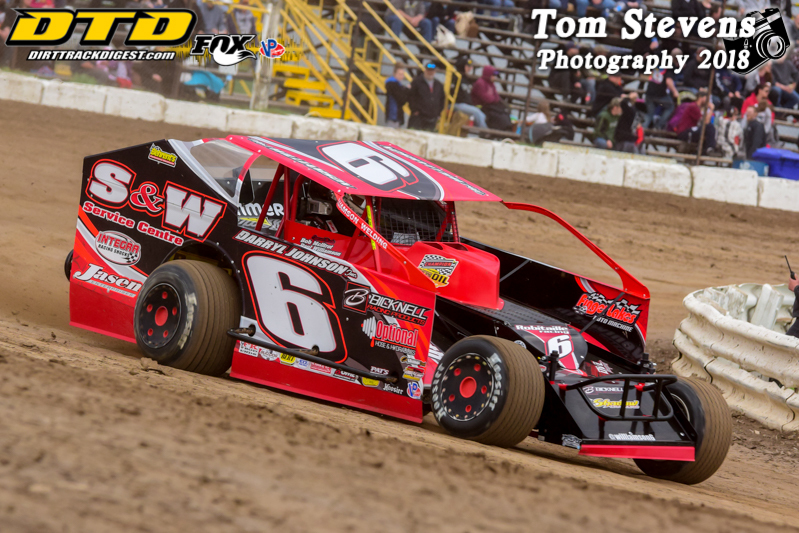 “We wanted to focus more attention to the safety of the drivers and also to the fans”, commented Merrittville Speedway Race Director Tom Beales. Race Med will be run by Dustin Anderson and Patrick Quinn. Every Saturday night, there will be a fully-equipped safety truck and a fast response team to assess the situation on the track. A fire truck will also be on site with a fire suppression system along with the Jaws of Life. Anderson and Quinn each have over 10 years each of experience and will also have fully-trained EMTs and paramedics on site every race night. “We look forward to working with everyone at Merrittville”, said Patrick Quinn of Race Med. A new First Aid station will be constructed on the grandstand side to assist fans as well serves as the care center for those in the pit area. Plans are starting to take shape for the 2019 season. It was announced at the banquet and was reiterated at the meeting that driver purses will increase for all divisions in 2019. By season’s end, the weekly race payout and the investment into the medical team would increase over $40,000. The Spiece family is continuing to invest into the facility and the drivers to make racing happen at Merrittville for another 68 years. The competition/registration meetings will take place on Sunday, January 27 at John Michaels Banquet and Conference Centre, 1368 Uppers Lane, Thorold. The 11:00 am session will be for the V6, 4 Cylinder Mini Stocks, and Mod Lites. An afternoon session at 12:30 pm will take place for Hoosier Stocks and DIRTcar Sportsman. 2019 Driver, Pit, and Grandstand Season Passes will also be available for purchase.